The Indian Railways is the single largest consumer of electricity with roughly 2 percent share of national energy consumption. Speaking in Lok Sabha, Rajen Gohain, the minister of state in the ministry of railways, informed the House that Indian Railways has installed flexible solar panels on 11 coaches of Sitapur-Rewari passenger in July 2018 to augment the battery charging. Apart from this, it also installed solar panels on 10 exhibition coaches of Swachhata Express in March 2018. Gohain added that in July 2017, six trailer coaches of Diesel Electric Multiple Unit (DEMU) were retrofitted with solar panels. In addition to this, fifty guard vans have also been fitted with solar panel during 2017-18. “Solar panel in guard van produces 1.2 KWh of electricity per clear day. There are further sanctions available for provision of solar panels on 530 trailing cars of DEMUs and in 750 guard brake vans and the work of retro-fitment of solar panels in coaches will be done in different workshops and DEMU sheds of Indian Railways,” he added. Indian Railways is working tirelessly on all fronts to reduce its carbon footprint. The infrastructure as well as the space available to the Indian Railways has opened avenues for the development of rooftop and ground-mount solar projects that can be utilized to address its increasing energy needs. Recently, it was reported that Indian Railways is gradually turning towards green initiatives for electrification as well as decarbonization. Solar panels at rooftops of 78 railway stations across Kerala have been planned based on feasibility at the stations. Mercom previously reported that the Railways will soon launch tenders to set up large-scale solar power projects, inching closer towards its overall solar power target of 5 GW. The 5 GW capacity will consist of utility-scale and rooftop solar power projects. In October 2017, the Indian Railways awarded a total of 30 MW of rooftop solar contracts to Azure Power (20 MW) and Fourth Partner Energy (10 MW). 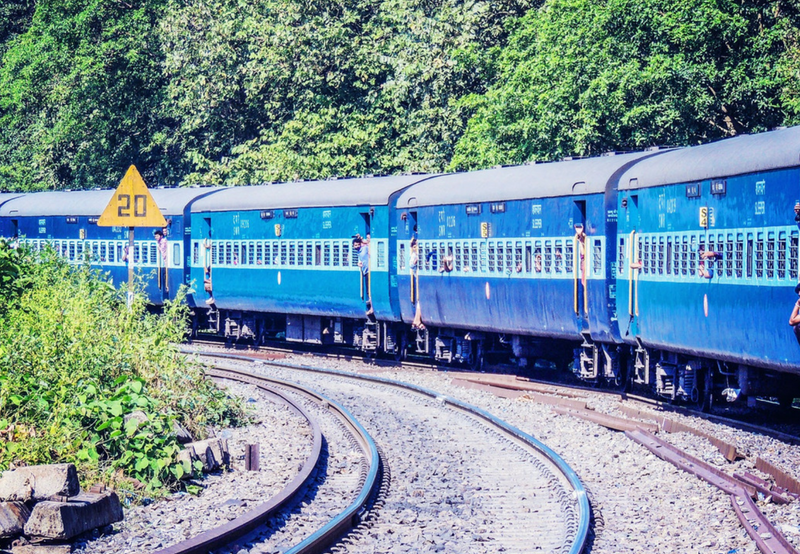 Union Railways Minister Piyush Goyal recently announced that Indian Railways is going green in a big way and plans to become a net-zero carbon emitter by 2030. Goyal emphasised that the action plan to achieve 100 percent of clean power for Indian Railways is in progress and can be achieved with collective efforts toward a common goal. Nitin is a staff reporter at Mercomindia.com and writes on renewable energy and related sectors. Prior to Mercom, Nitin has worked for CNN IBN, India News, Agricultural Spectrum and Bureaucracy Today. He received his bachelor’s degree in Journalism & Communication from Manipal Institute of Communication at Manipal University and Master’s degree in International Relations from Jindal School of International Affairs.